One of the wonderful things about our recent museum experiences has been the presence of a wonderful restaurant as part of visiting say the Museum of Modern Art. 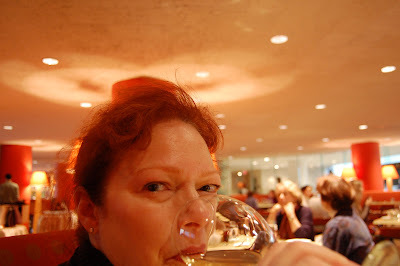 Recently, while in Boston, we had a truly transcendent experience in Bravo, the brilliant restaurant tucked neatly into the architecture of the Museum of Fine Arts in Boston. The first thing noticed was the design of the place; perhaps comparisons to Mad Men are overdone, but it is easy to imagine spotting Don Draper gliding through the dining room and tucking into a booth with a female client for a mid-afternoon drink. The decor was apparently done by the very fine restaurant designer Peter Neimitz and in case the message is not lost I will spell it out: Bravo is a work of art within a work of art. As for the food, it was simply perfection. 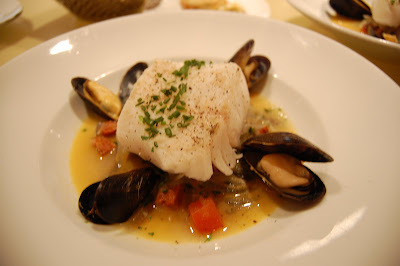 We had Market Fish (Cod) layered in an intoxicating broth of red onions, cabbage, mussels, and chirizo. Typically, I don't love Cod but this particular Cod had the expert touch of a superlative chef. The simple greens we had for an appetizer had wonderful texture like frill or lace; the mozzarella seemed as delicate and creamy as vanilla ice-cream. 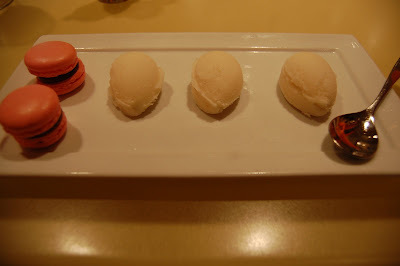 Speaking of that, for dessert, Lynn had pink macaroons that were perfect in the mouth besides looking like some kind of jewelry. Our server, Kenneth combined smooth urbanity, crisp advice and a relaxed presence to help make the experience not only worthwhile, but very soothing. This was especially welcome since the New England Nor'easter of '10 had battered us to a bedraggled state at that point. 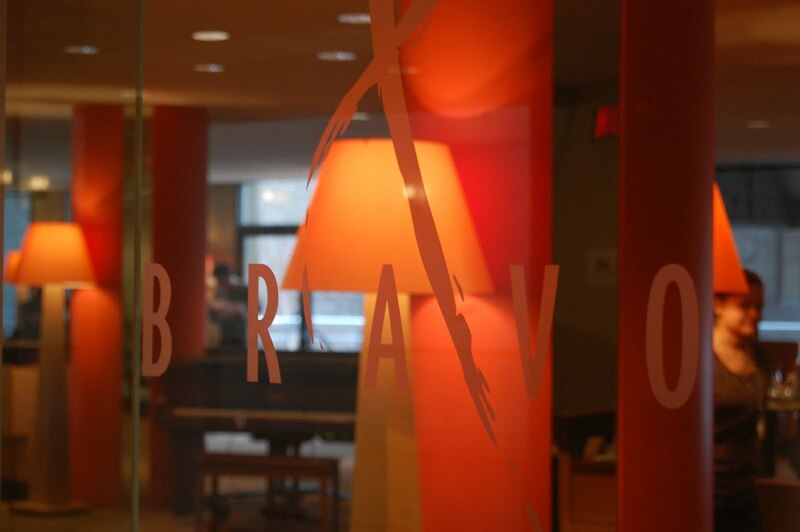 Superstar chef Patrick Gilmartin has put together what must be one of Boston's best kept culinary secrets with Bravo. Just don't tell anyone and ruin it for us ok?